November is diabetes awareness month. Awareness of this disease is important because it can be prevented. Here are some statistics you may not know about diabetes. According to the American Diabetes Association in 2015, it was reported 30.5 million Americans were diagnosed with diabetes. That number continues to climb with an estimation of 1.5 million Americans being diagnosed every year. Diabetes can lead to other chronic diseases such as chronic kidney disease, heart disease and stroke. Diabetes is currently the seventh leading cause of death in America, and this number is likely underreported. There are different types of diabetes, and diabetes can affect any ethnicity or age. The most commonly diagnosed diabetes in the adult population is type 2 diabetes mellitus and can also be diagnosed in adolescents who are obese. It is crucial patients know the risk factors for diabetes, which include obesity, family history, gestational diabetes or prediabetes. Excessive thirst, increased urination, blurred vision and weight loss are early signs of diabetes. Screening for diabetes should take place if you are over the age of 45 and are overweight or if you are under the age of 45 with other risk factors such as family history or a sedentary lifestyle. In adolescent’s diabetes should be screened if older than 10 years of age who are measuring greater than the 85th percentile. Testing is completed with a simple blood test by checking your hemoglobin A1c. If you feel that you or your child meet these criteria and have not been tested for diabetes, please talk to your primary care provider. 1. Increase your physical activity. Exercise lowers your blood sugar and will result in weight loss. This will increase your sensitivity to insulin, which will help keep your blood sugar in goal. 2. Get plenty of fiber. Fiber promotes a healthy weight and provides heart benefits. 3. Choose whole grains when available. Although it’s not clearly understood why whole grains may decrease the risk of diabetes and help maintain a healthy blood sugar level. 4. Lose additional weight. If you are overweight or obese one study showed that reduction in your weight by only 7 percent had a 60 percent reduction in their risk of developing type 2 diabetes. 5. Skip fad diets. Make healthy food selections and focus on portion control. If you have already been diagnosed with diabetes, these tips are also beneficial and may reduce the amount of medication you are currently taking. If you are diabetic and feel your diabetes is not well controlled, it may be appropriate to ask your primary care provider for a referral to see an endocrinologist. The Lima community has several resources available to diabetics in the area. Please discuss these options with your primary care provider. 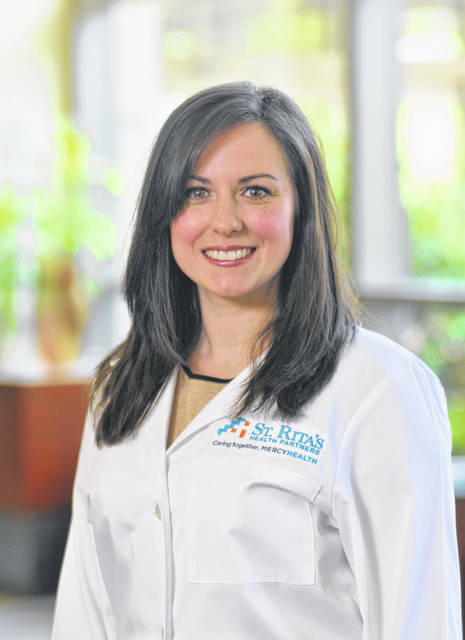 Natallie Paphanchith is a certified nurse practitioner at Mercy Health-St. Rita’s Endocrine, Diabetes and Metabolism Center.